Martian Lit is proud to unveil two new covers! 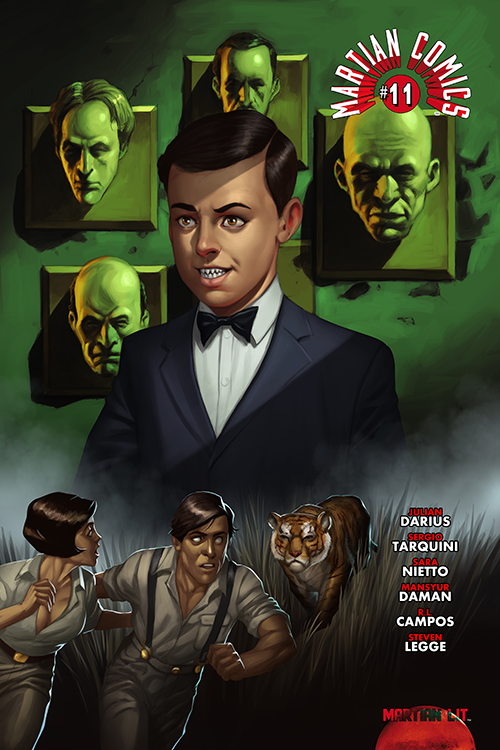 The cover to Martian Comics #11 is by Mansyur Daman and painter Roni Setiawan. It relates to the story “The Second Most Dangerous Game,” which is serialized in Martian Comics #8-12 and drawn by Daman. The cover to Lazarus, the Forever Man #1 is by Andre Siregar and painter Roni Setiawan. Both issues are expected to be released in 2017. But first, Lazarus, the Forever Man will debut in the first half of 2017 with a giant-sized issue #0. For more information on Martian Comics, visit the its official page, check out the series on ComiXology, and follow Martian Comics on Twitter and Facebook. For more information on Lazarus, the Immortal Man, visit its official page and follow the series on Facebook. We’d also love if you subscribed to our mailing list. And you’ll get a free short book for doing so! This entry was posted in Martian News. Bookmark the permalink. We switched the covers of MARTIAN COMICS #10 and #11, due to a change in content. 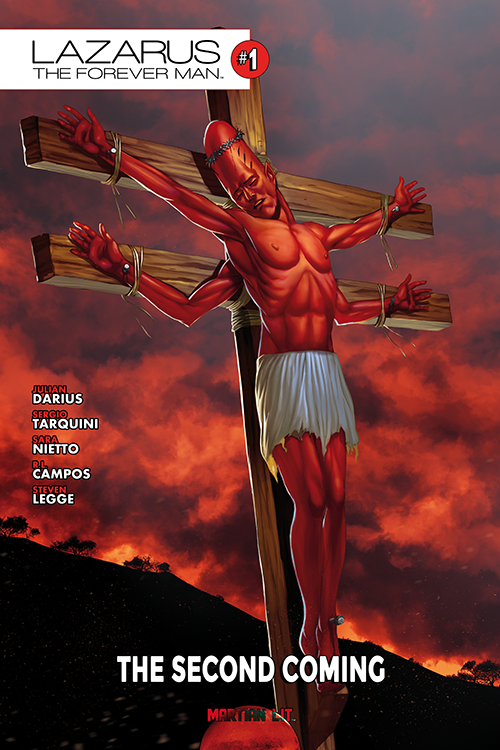 Also, the above LAZARUS cover is now the cover to #2, due to a separate change in content. Thanks for bearing with us!